This agreement ("Agreement") describes the terms and conditions for participation in the REPUTATION AEGIS Affiliate Program. The terms "Affiliate," "you," and "your" are referring to you, the person who is applying to participate in our affiliate program. "We" and "our" refer to REPUTATION AEGIS Affiliate Program. Depending on the particular offer, your compensation may be based on 15 % of the gross revenue as a commission from the particular valid action that would trigger compensation to you (i.e. orders placed through your Affiliate Site). You will only be paid for legitimate compensation that was earned, which is determined by us in our sole discretion. Payment will be made by an approved method that will be posted on the site, and in Euros unless otherwise agreed to by both parties in writing. You will be paid only once you have reached a payment threshold of at least 50.00 EUR (or another number agreed in writing by both parties) and paid on terms of a schedule of 30 days after the last day of the calendar month or another time frame which has been agreed upon in writing by both parties. For a sale to generate a commission to an Affiliate, the customer must complete the order form, remit full payment for the service ordered, and have their installation completed. You will receive 15 % for orders placed through the Affiliate Sites of those sub-Affiliates which you have sponsored into the REPUTATION AEGIS Affiliate Program. Affiliate commissions will only be paid on sales which are made through qualified Affiliates. Compensation can only be earned between the acceptance of the Affiliate application and notice of termination. Fees will be paid on the first day of each month by REPUTATION AEGIS Affiliate Program. Any returned checks, charge backs, or fees from a returned order will be adjusted in the following fee payment. If no fee payment is due, a billing invoice for the amount will be issued. REPUTATION AEGIS Affiliate Program will be solely responsible for processing every order placed by a customer on the Affiliate and sub-affiliate sites. Customers who purchase products and services through the REPUTATION AEGIS Affiliate Program will be deemed to be customers of REPUTATION AEGIS Affiliate Program. Prices and availability of our products and services may vary from time to time. 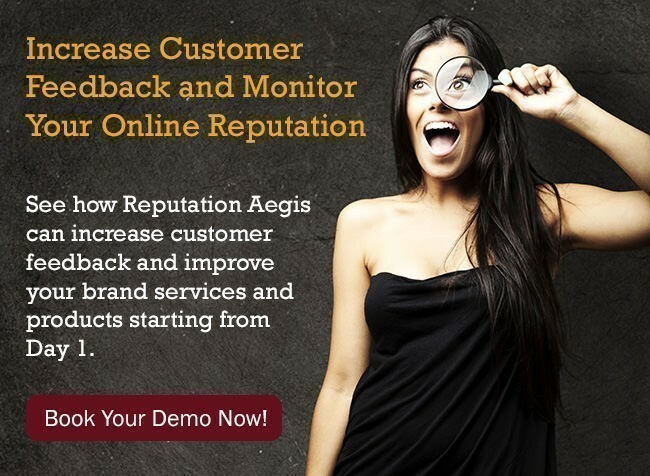 REPUTATION AEGIS Affiliate Program policies will always determine the price paid by the customer. We reserve the right to reject any order that does not comply with our rules, operating procedures and policies. You must not under any circumstances engage in fraudulent, unfair, or deceptive practices when participating in our REPUTATION AEGIS Affiliate Program. This includes, but is not limited to, the practice commonly known as "cookie stuffing," offering non-existent incentives as a reward for purchasing items, or any other fraudulent, unfair, or deceptive practice. We reserve the right to determine, in our sole discretion, whether you or your site has utilized any fraudulent method or is engaging in deceptive tactics. We may suspend or terminate your account if we have any reason to believe that you are committing fraud or deceit and at any time, in our sole discretion. If your account is suspended or terminated for fraud you will forgo any rights to compensation both paid, and unpaid. Unsolicited Commercial E-mail - REPUTATION AEGIS Affiliate Program in no way participates in mass unsolicited e-mailing (i.e. spamming), and all Affiliates are expected not to do anything that would violate this policy. Violation of this policy will result in the termination of the Agreement and immediate dismissal from the REPUTATION AEGIS Affiliate Program, with no refund or payments made for affiliate commissions earned. We make no express or implied warranties or representations with respect to the Affiliate Program or your potential to earn income from the REPUTATION AEGIS Affiliate Program. In addition, we make no representation that the operation of our site or the Affiliate Sites will be uninterrupted or error-free, and we will not be liable for the consequences of any interruptions or down time. We express disclaim all warranties, whether written or oral. We will not be liable for any damages that you, or any third party, may incur as a result of your use or misuse of our site or promotion of any offer or loss of any data. In jurisdictions that limit or do not allow these exclusions our maximum liability will not exceed any amounts paid to you within the previous three (3) payment cycles. This Agreement will be governed by the laws applicable in France, without reference to rules governing conflicts of laws. Any action relating to this Agreement must be brought in a court of competent jurisdiction located in Lorient, France, or if no such court of competent jurisdiction exists in that geographical area, then the next closest court which has jurisdiction to hear the action; you irrevocably consent to the jurisdiction of these and only these courts. The prevailing party in any dispute or legal action will be entitled to its reasonable attorneys fees and costs. You may not assign your rights or obligations under this Agreement, by operation of law or otherwise, without our prior written consent. We, however, may assign or transfer our rights and obligations under this Agreement to a third party where we believe it appropriate. For example, if we sell our business to a third party. Subject to that restriction, this Agreement will be binding on, inure to the benefit of, and enforceable against the parties and their respective successors and assigns. Our failure to enforce your strict performance of any provision of this Agreement will not constitute a waiver of our right to subsequently enforce such provision or any other provision of this Agreement. * Please note that NO COMMISSION is paid on your original purchase of REPUTATION AEGIS Affiliate Program. In other words you cannot buy from yourself or be your first purchase for the sole purpose of discounting your own product purchase.